Every one of us will love to browse through the internet without any restrictions. But this is not possible as the government of most of the countries around the world has restricted the user access to several sites. There are a large number of websites that cannot be accessed in certain countries like Facebook in Vietnam and many more in various countries of the world. But now with the advent of technology, accessing the blocked websites is possible. VPN is the software that lets you connect to any website that exists in the world from any location of your choice. But finding a good VPN service is always a big challenge. So to save your precious time, we have researched all over the web and have found the best VPN provider – NordVPN. It is the world’s best VPN that provides data security with the help of its advanced encryption capabilities. It doesn’t store any of your logs and you can always feel safe while browsing on its reliable servers. Let us have a look over its short review below. NordVPN is the world’s best VPN. It is a Panama based company which provides the most reliable servers protected with military grade encryption. The servers perform well even when the traffic is high, considering they have a large network of over 700 serves. You will hardly experience low ping times. Its safe servers are ideal for browsing across the internet. Moreover, the personal protection and privacy are crucial aspects of this VPN service. ● You must download NordVPN Client. ● Extract it to your desktop. 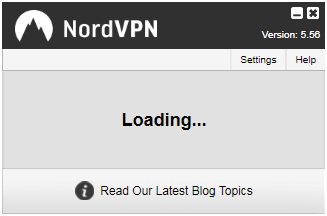 ● Click on the icon for installing NordVPN client. The following screen appears now. ● Login to your account after entering username & password. 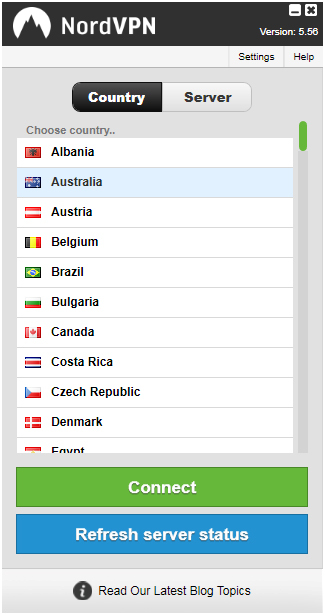 ● Select the country and then click on ‘Connect’. ● The following screen appears while you are getting connected to the server. ● This screen appears once you are connected to the server. ● Now the screen will show your new location and IP Address. ● Proceed to browse the web anonymously. It is one of the more poular VPN services around the world Here are some of its marvelous features that make it No. 1 choice for internet anonymity. ● Wide Range of Servers: NordVPNVPN network consists of 700+ servers in over 52 countries spread out across the world. The server network is expanding continuously. Presently, NordVPN covers all the continents of the world excluding the Antarctica. When we tested, the server speeds were performing very well, considering you can experience some speed loss on any given VPN. 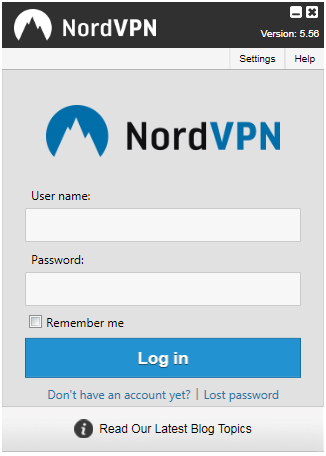 ● Easy Setup: You must create an account to setup NordVPN client on your Laptop/PC/mobile. Select the plan as per your needs. Once you make the payments, you can download NordVPN client and follow the above steps for setting it up. ● No Log Policy: NordVPN has a strict ‘No Log’ policy and follows it sincerely. There are a number of VPN providers that promises the users not to store logs, but it is hard to trust them if they are based in a country with mandatory data retention laws. . NordVPN, on the other hand, is based in Panama, which has good internet laws and does not require to store data. iDouble Data Encryption: Its double data encryption servers ensure that your vital data is encrypted twice. 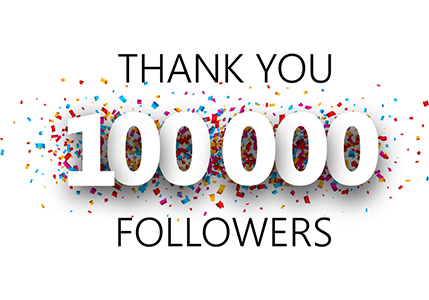 This is a great feature for those who are looking for additional protection online. ● DNS Leak Resolver: Sometimes, your DNS server might send the unencrypted query outside VPN tunnel. This might leak your crucial data. NordVPN’s DNS Leak Resolver prevents any such leakages and secures your data. ● Automatic Kill Switch: Your VPN connection might go down on some occasion and some important data/software might be left exposed. NordVPN’s Automatic Kill Switch technology shuts down any process that is left open on the VPN servers and saves your data from falling into the wrong hands. ● P2P Supported: There are some VPN providers that might throttle the P2P traffic, but NordVPN doesn’t do this. The data can be transferred upstream and downstream at good speeds. ● Multiple Devices Supported: The best thing about it is that you can connect 6 devices simultaneously with NordVPN client. Tablets, smartphones, PCs and routers can easily be connected to NordVPNservers. You can also work flawlessly without experiencing any delay. ● Multiple OS Supported: The operating systems like Android, iOS, Windows, Mac, and Linux are supported by NordVPN. The easy to use interface across all custom apps, allows you to connect to a VPN with a click of a button. 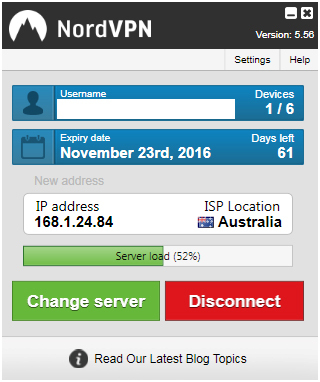 ● User Friendly Support: You can always get an exceptional assistance from NordVPN’s support staff. Its experienced staff are well trained to handle the queries of the customers and the support is given 24/7. ● Payment Choices: At billing, the payments can be made withcredit card, PayPal, WebMoney, Paysera, and even through Bitcoin. The users interested in buying NordVPN services can choose from three different plans available. The plan selection can depend on your usage. ● Simple: Starting at $11.95/month this plan is billed each month. You can pay monthly under this plan. Each and every benefit is offered to the user under this plan. ● Standard: Starting at $7.00/month this plan is billed once every 6 months. Each and every benefit is offered to the user under this plan. ● Best Offer: Starting at $5.75/month this plan is billed once every 12 months. Each and every benefit is offered to the user under this plan. Before buying any NordVPN plans, you can check the pricing and the benefits offered with each plan. Choose the plan as per your needs and if you don’t like theservice, you are allowed to ask for a refund. The refund request must be sent within 30 days of making the payments. 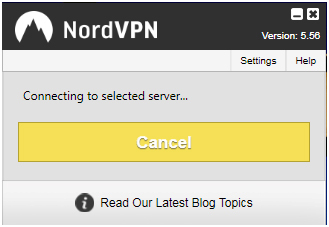 Also, a free trial can be requested by emailing them at support@nordvpn.com. NordVPN is one of the most reliable VPN providers in the world. Choosing this feature rich VPN provider will ensure that you browse safely through the web without revealing your identity. You can access any website that exists on the internet and can easily bypass the government restrictions imposed on certain website. Moreover, it doesn’t store your browsing data. You can feel safe and secure while browsing with NordVPN. So, what are you waiting for? Try it now.